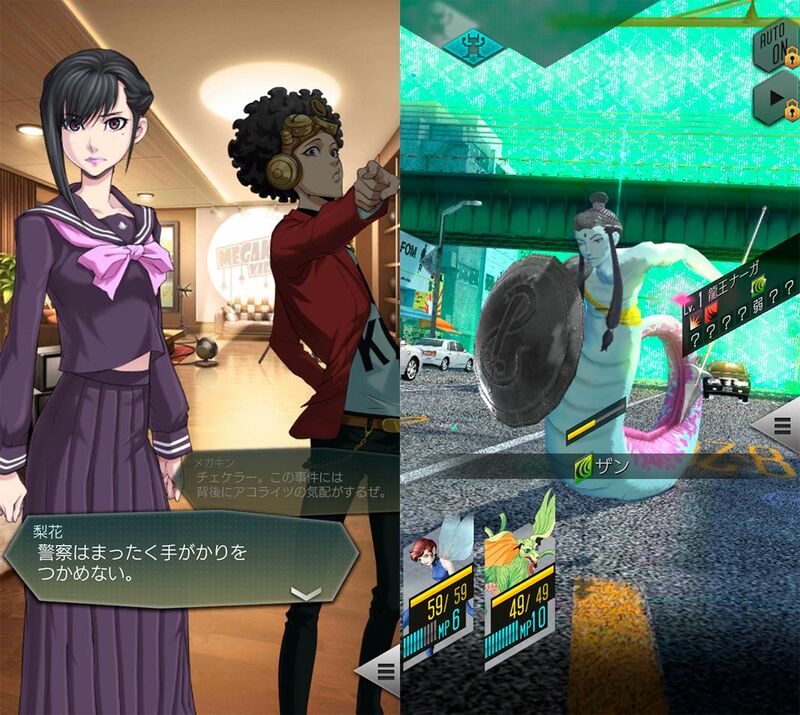 The Megaten saga has finally arrived on Android devices thanks to Dx2 Shin Megami Tensei: Liberation, an exclusive title that you can start playing right now. Final Fantasy, Dragon Quest, Tales of … titles that practically everyone in the world can recognize and relate directly with JRPGs, role-playing games from Japan that tend to share strong distinguishing traits. But there’s another legendary franchise that’s been torturing entertaining us since 1987. It’s hard to keep track of how many games exist under the Shin Megami Tensei brand, and that’s not counting their most famous spin-offs like Persona or Devil Survivor. 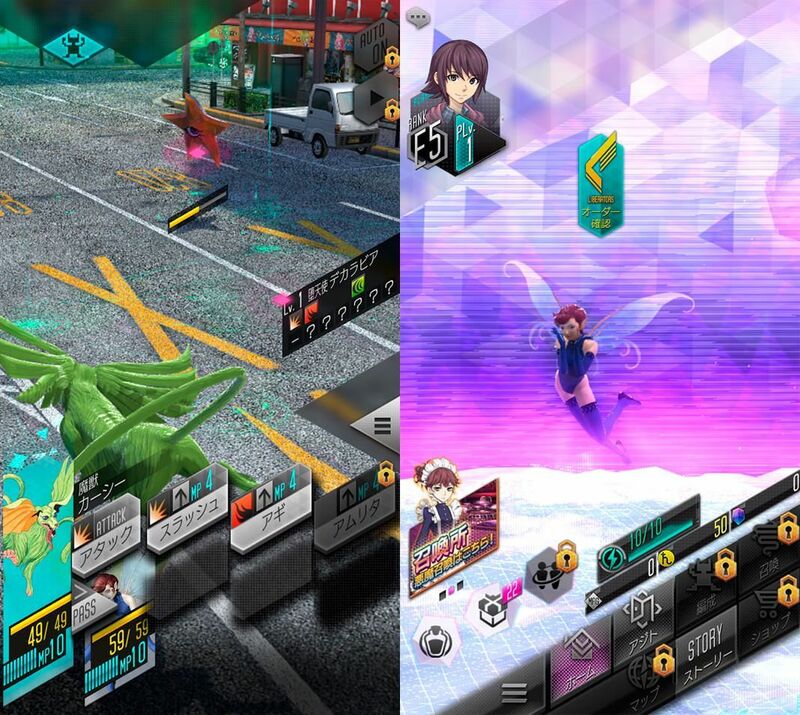 However, today it’s time to celebrate the arrival of a new exclusive game for mobile devices: Dx2 Shin Megami Tensei: Liberation, the latest title from the Megaten saga that offers all the common features of the series: strategic combats, a story with moral ambiguity and of course, your typical, everyday demons. 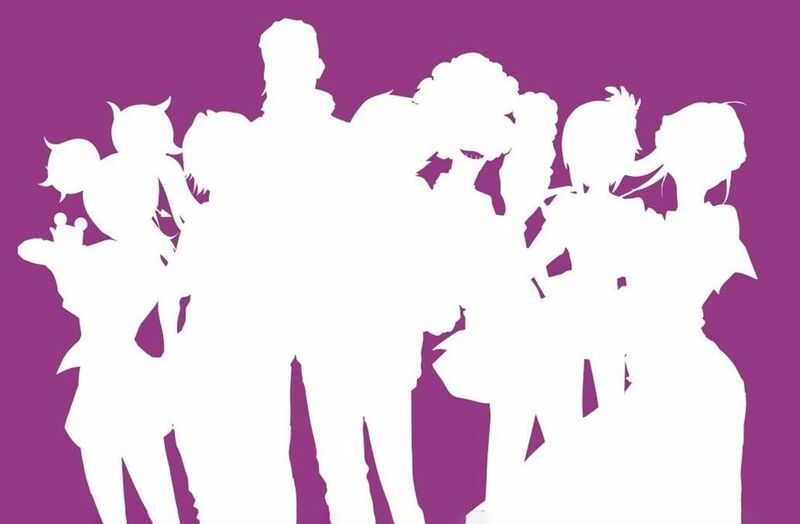 Dx2 Shin Megami Tensei: Liberation is a new spin-off of this excellent videogame saga that lets you choose your character’s gender and also has a twist: it’s the first installment developed by SEGA instead of Atlus. We don’t know how this will affect the game, because what we’ve been able to try out didn’t seem a whole lot different from other installments in the saga. The fact that the game is currently in Japanese is also a factor, but you can survive if you’re already familiar with any of the previous games from the franchise, or even other typical Android RPGs. This game once again takes us to an alternate Japan where different factions fight among each other using demonic power in their quest for victory. 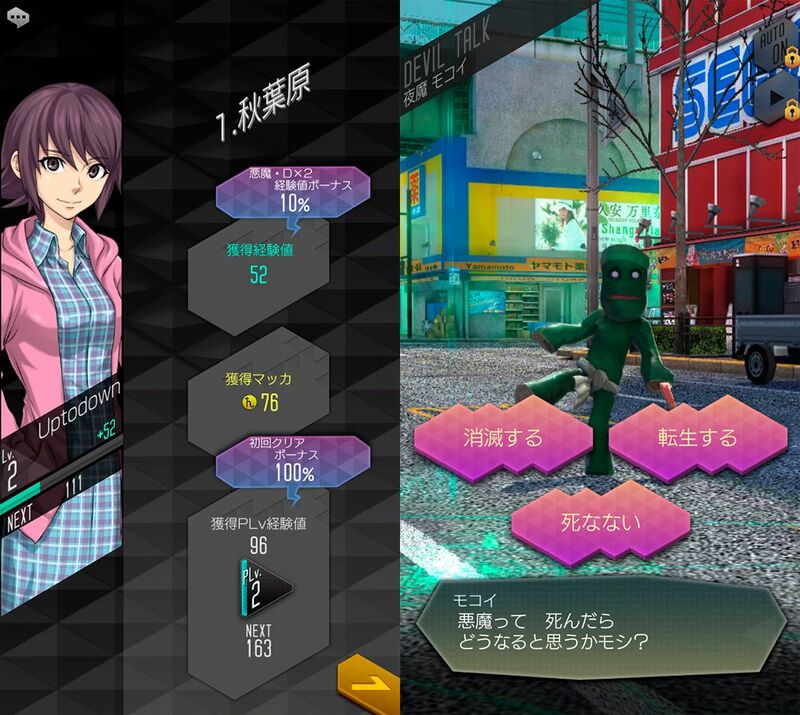 There aren’t too many details in terms of the story, but it’s rare that a game from Megaten doesn’t offer the typical crazy plot twists, along with a gray area where there are no “good guys” or “bad guys.” Along with these common features, the game also offers the same combat system as the latest installments where you have to play with the demons’ strengths and weaknesses in order to win. And the icing on the cake? The music. The soundtrack is just as powerful as the game’s thrilling visuals. We’ve had the pleasure of playing Dx2 Shin Megami Tensei: Liberation for 30 minutes and from what we’ve seen, it’s absolutely outstanding. The Megaten essence is in every nook and cranny, and that alone says a lot: the possibility to recruit demons through dialogue, the ability to combine demons to create more powerful beings, an intricate storyline packed with charismatic characters, and more. That said, it also has some of the features typical of smartphone games: Online PVP battles and the Gacha system to pay for random demons. It’s an all-around awesome game that will hopefully be translated to other languages soon so we can all enjoy it to its fullest potential. There’ll be an english version? There will be an official global launch “this summer”. Devs didn’t specified any release date.